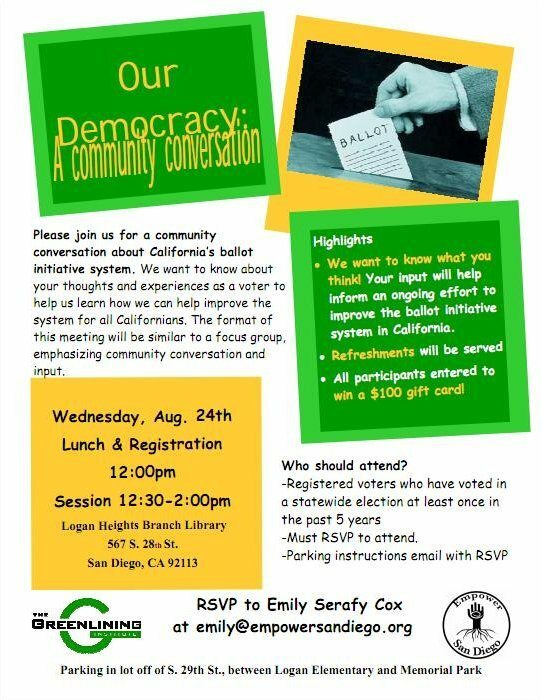 Please join Empower San Diego for a community conversation about California’s ballot initiative system. We want to know about your thoughts and experiences as a voter to help us learn how we can help improve the system for all Californians. The format of this meeting will be similar to a focus group, emphasizing community conversation and input. All participants are entered to win a $100 gift card!